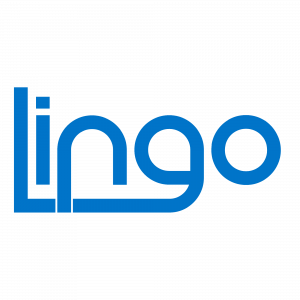 Make EDI and eCommerce easier with QuickBooks and Lingo. If you run your business on QuickBooks, it only makes sense to choose an EDI solution that integrates seamlessly with it. The data and information that is critical to your company operations can make EDI and online transactions both simpler and more accurate. And that accuracy translates into fewer mistakes and the end of chargebacks. Thing is, you already have a lot on your plate as you grow your business. New business efforts, managing a workforce, developing products — you’re juggling a bunch of things all the time. Devoting hundreds of hours to order processing is, to be blunt, not a particularly intelligent use of your time. Time is an asset in your business and you have very little to waste. Processing orders, whether they are EDI transactions with large retailers or sales from online platforms, should be done as quickly and efficiently as possible. Get QuickBooks integration tailored for you. When you integrate an advanced EDI and order processing solution with QuickBooks, you can reduce your workload significantly. If you rely on QuickBooks and are considering an EDI provider, make sure the company you choose has experience with integrations. There should be a seamless flow of data between the two applications, allowing you to merge information, reduce manual entry, save time, and virtually eliminate costly mistakes. 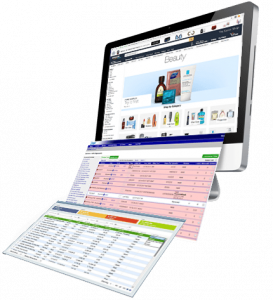 What’s more, you should be able to work with your EDI and order processing software without even leaving the QuickBooks application. Sure, it seems simple enough. Who wouldn’t want to connect a QuickBooks system with their order processing software? But it’s worth remembering that your business, whether it’s your products, your organizational structure, or your accounting system, is unlike any other. It’s unique and hardly a candidate for a one-size-fits-all solution. Instead, you should have a custom-built, tailored approach to QuickBooks integration. Here at eZCom, we take system integrations seriously. When you become a client, a dedicated project manager will lead the team that will make your QuickBooks and our Lingo software function together beautifully. We learn about your business and create a solution that will reward you with efficiency, automation, and accuracy. We can also scale as your company grows because, hey, we believe in you, and want to help your business succeed and expand into new markets, additional stores, and new online sales channels. And as that happens, you can be confident that you’ll be able to continue working with the system we create for you. Essential to that success will be the strength of your business relationships. When QuickBooks is integrated with your EDI and order processing, you’ll have far less manual entry to complete — and a lot fewer mistakes as a result. If there’s one thing that major retailers don’t like, it’s mistakes. Even if they are head over heels about your products, they want to know they can count on you. That’s not exactly news — it’s basic human instinct to want to work with people and companies that are dependable. Delivering items at the right time to the right location in the right way will keep you in compliance — and compliance matters. As you establish consistency, your business will only grow. You’ll also be able to avoid those costly chargebacks that result when you fail to meet the exacting requirements of a Trading Partner. Hey, building a company and growing a business isn’t easy. If it was, everyone would do it. You are part of a unique group of people with the energy, creativity and drive to make it happen, and we think your business deserves as much of your attention as possible. We’ve made EDI and order processing our focus — so you don’t have to — and we’re confident that our software and our people can be a real asset as you grow.